An auction has just concluded on eBay. 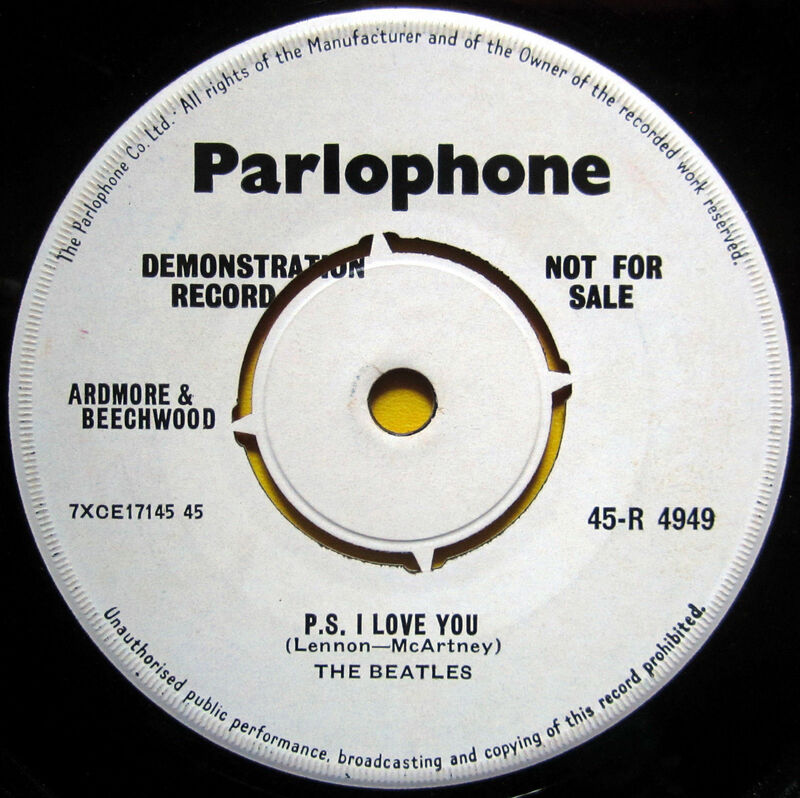 It was for a very rare, early Beatle 45rpm vinyl single. 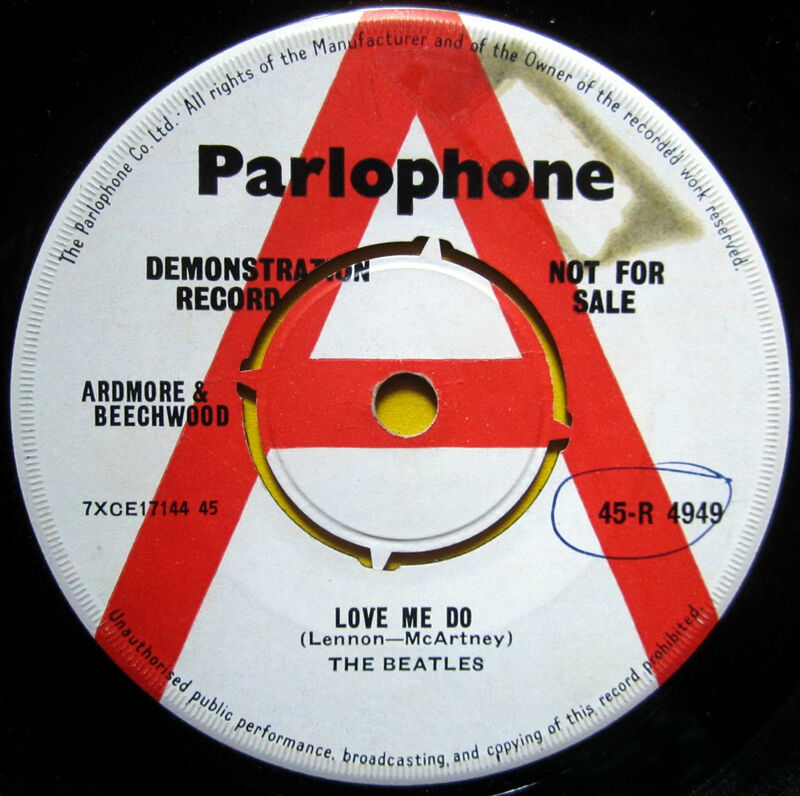 This is a UK demonstration/promo 45 of their debut single ‘Love Me Do’/’Please Please Me’. According to the listing, just 250 copies were pressed for distribution to radio DJs & reviewers prior to its October, 1962 release. Only a handful survive today. The thing which distinguishes it is the white label with the large red ‘A’ on the ‘Love Me Do’ side. 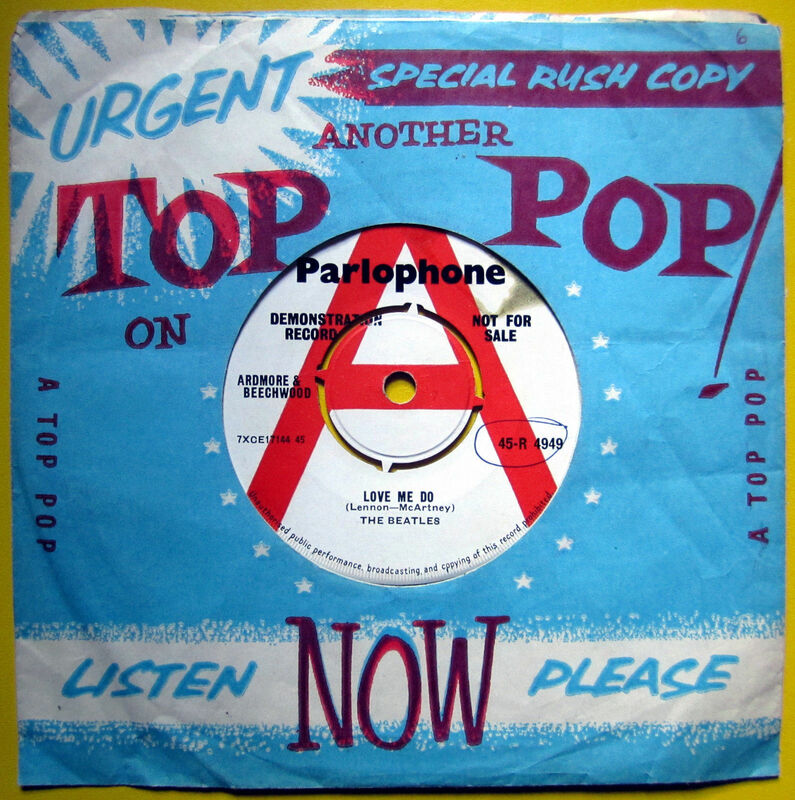 Both labels also have the ‘DEMONSTRATION RECORD – NOT FOR SALE’ wording, and ‘The Parlophone Co. Ltd..’ around the rims. Paul McCartney’s songwriting credit on both sides is misspelt as ‘McArtney’. Listed by a Greek eBayer, the record sold for a sensational US$12,100.00 (A$14,699). This entry was posted in Beatles, Beatles Collecting, Beatles Music, Parlophone Records and tagged Beatles, Beatles Collecting, Music, Parlophone Records, Paul McCartney by beatlesblogger. Bookmark the permalink.